Where: Auburndale Intermediate School, 1255 River Road, Corona, CA 92880 (map). Not in the area? 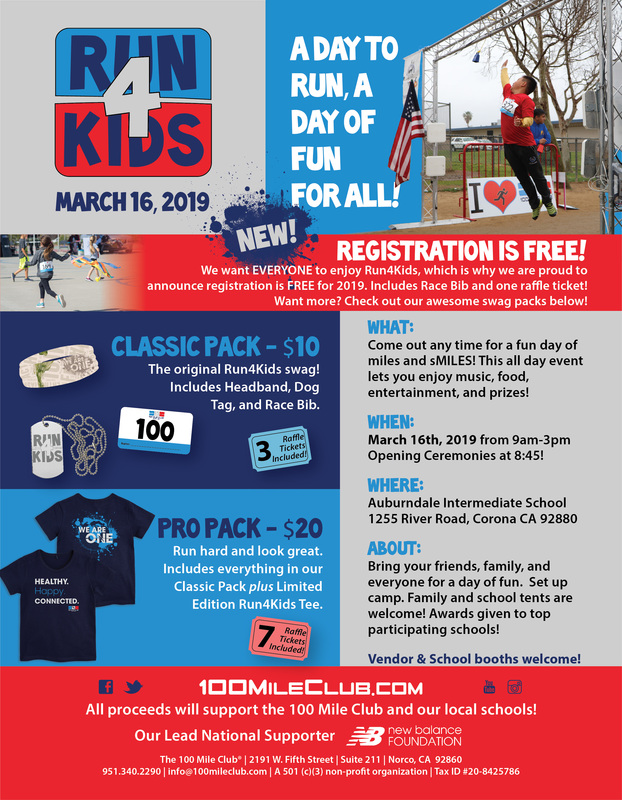 Check out our NEW Run4Kids Virtual Run! View and download the Run4Kids Day flyers available in English and Spanish. 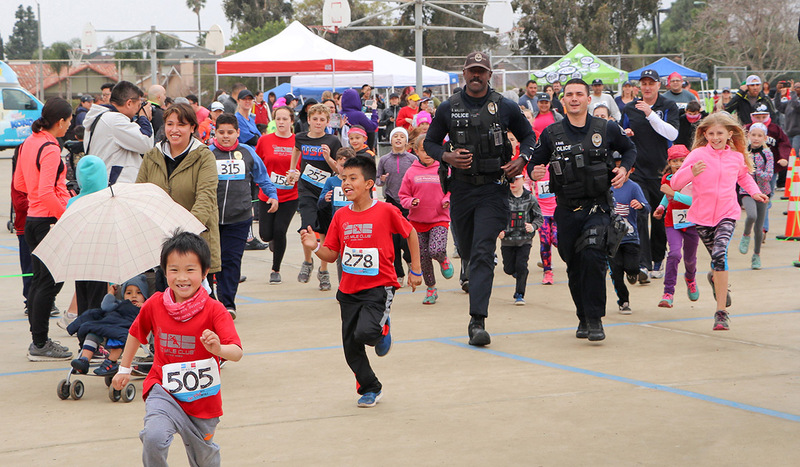 Welcome to 6 hours (9am-3pm) of open running for our families, schools, and commUNITY members, PLUS vendors, entertainment, prizes, and more... making this event a BIG running party for everyone! 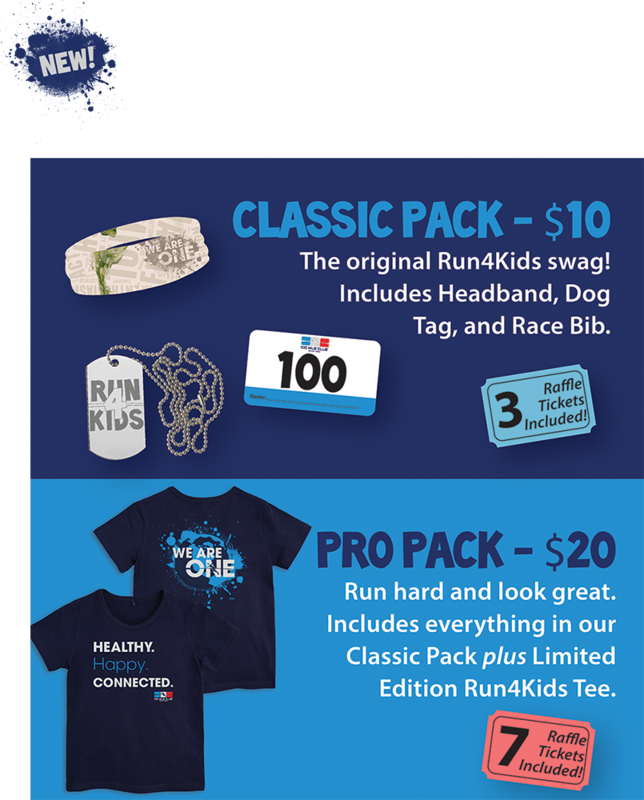 We want EVERYONE to enjoy Run4Kids, which is why we are proud to announce registration is FREE for 2019. Includes Race Bib and one raffle ticket! Want more? 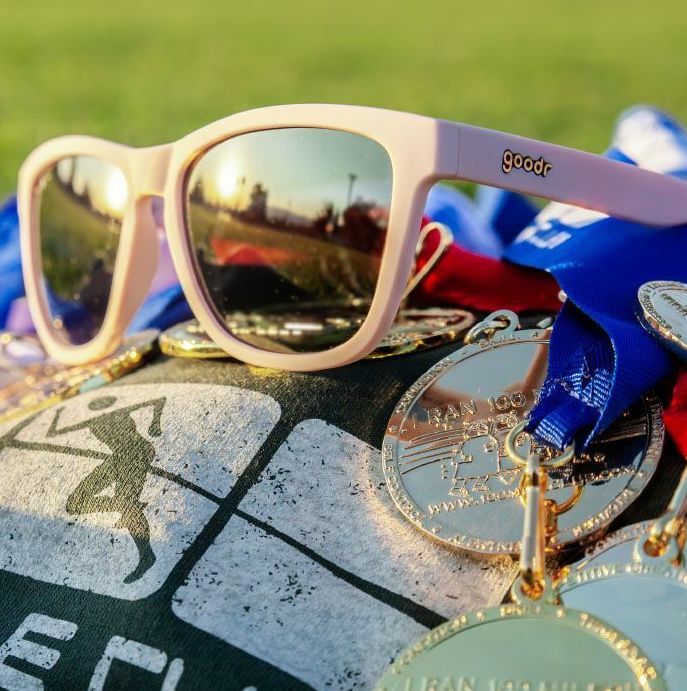 Check out our awesome swag packs below! And of course, all miles count toward your 100 Mile Club® goal. Doors open at 8:00am on event day for check-in and same-day registration. Opening Ceremonies begin at 8:30. Awards given for top participating schools, so rally the troops! Stay up to the minute on all things Run4Kids on Facebook. Hosted by Swift River School and the Mahar Girl's Track Team on April 13th.